Ah, remember the 90s? Grunge music, cargo pants, and of course, the epic rivalry between Nintendo and Sega … well, prepare to relive those memories (at least, the console wars part) through the wonder of paper and celluloid. 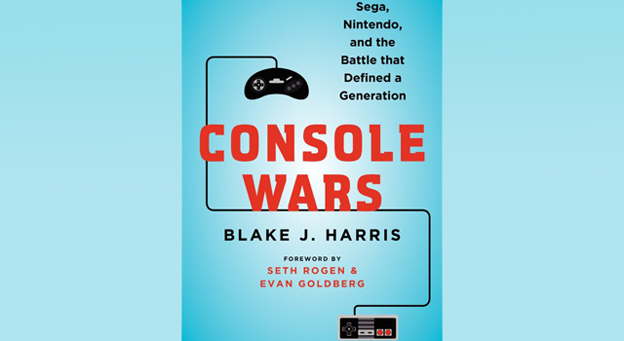 A book titled “Console Wars: Sega, Nintendo, and the Battle that Defined a Generation” is due to be released in the US this May and globally soon after. This will be followed with a film version, to be written/directed by Seth Rogen and Evan Goldberg. The book is already available for pre-order on Amazon and Sony Pictures and Scott Rudin are developing the film version, although no release date has been announced. Author Blake J. Harris will be involved in the big-screen transition as Executive Producer. In the wake of tech/doco movies like The Social Network and Jobs, how do you think this biopic will translate to the big screen? Let us know in the comments section if you’d consider reading the book or seeing the movie.